This is a pair of handmade earrings using vintage 1960s findings. 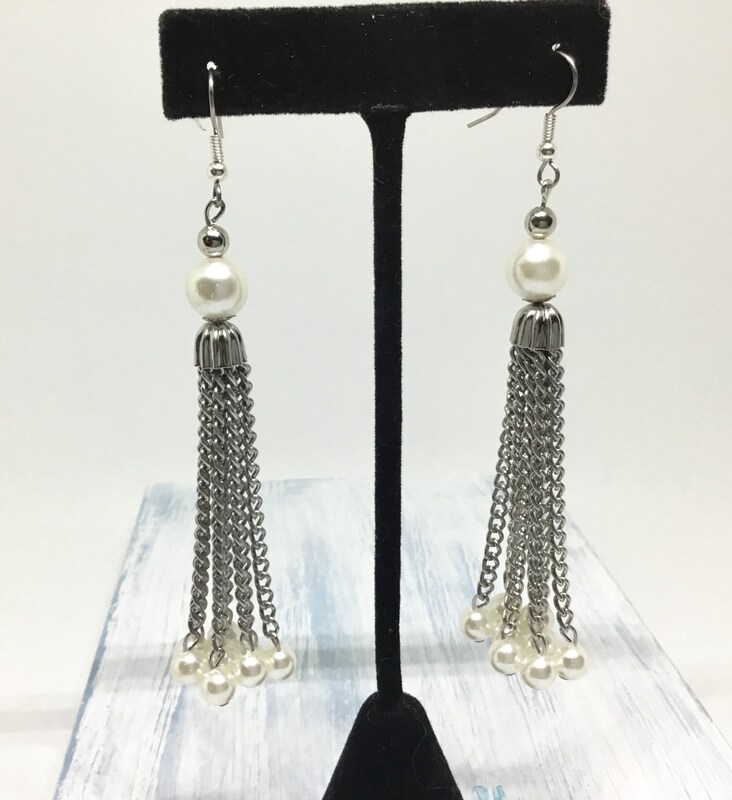 These vintage findings are a pair of oxidized silver plated chains with glowing white faux pearls. There is one large pearl and eight smaller ones and eight chains. 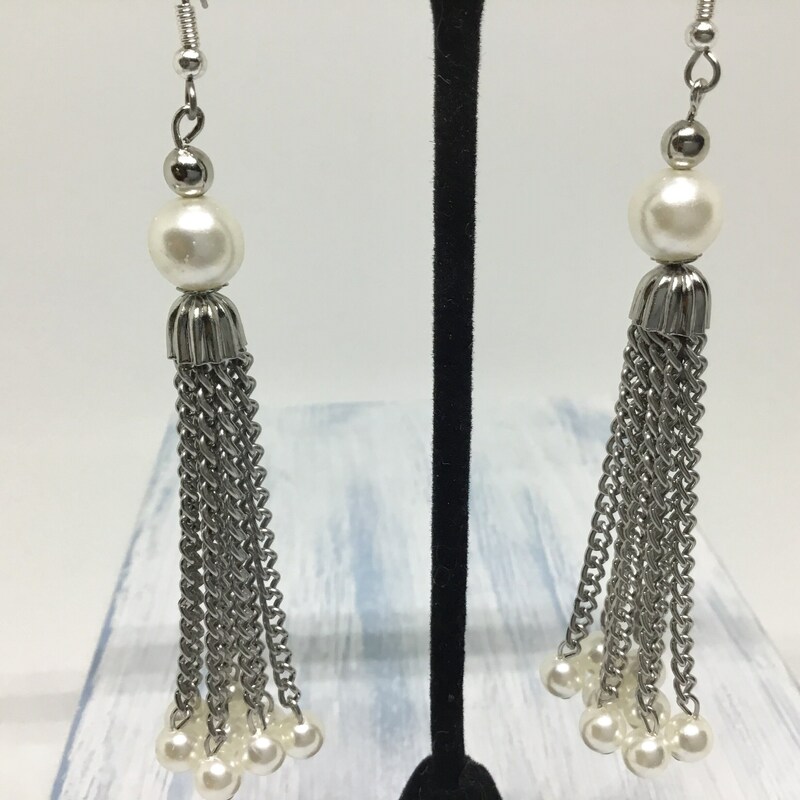 The earrings measures approximately 3” long. 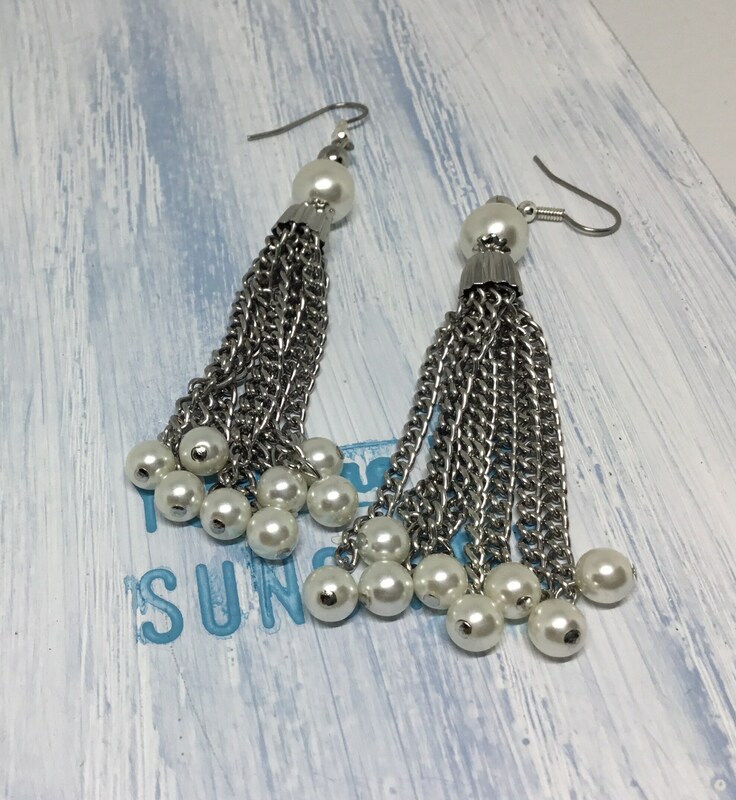 A great pair of eye catching longer earrings!